An impressive result of the most modern technology. 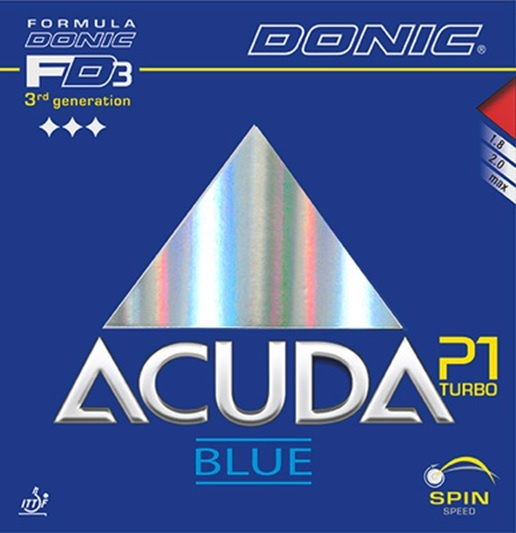 The Acuda Blue P1 Turbo offers greater speed whilst retaining its legendary control. All made possible by a unique new pimple formation. The P1 Turbo is the most dynamic and hardest rubber from the Acuda series. Since the distance between the pimples is wider and the pimples themselves are smaller, the rubber actually plays softer.